I bet you thought, She hasn’t made risotto for a while, but here we go because I can’t keep away from that arborio rice for long! Actually, what I couldn’t resist was the organic asparagus in Waitrose yesterday. It’s a bit early for home-grown English asparagus after the awful winter and late arrival of spring, but once it’s in my local farmers’ market I’m going to be buying it up in its short season. I’ve bought some of the most delicious asparagus ever from Twickenham Farmers’ Market in previous years but at least the type I bought in Waitrose yesterday was Italian. And well, Italian is almost home for The Single Gourmet Traveller. I’ve said before I like simple risottos with just a couple of ingredients. Risotto for me isn’t a ‘clear out the fridge’ recipe where you throw everything in. Risotto needs to be treated with respect. I had a good risotto conversation with Tim Healy of A Cena on Wednesday when I met him and Lawrence Hartley at Joe Allen, which they’ve recently bought. Tim’s wife and co-owner of A Cena is Camilla, who is half Italian, and Tim was telling me about her wonderful, but simple, risottos. I did toy with the idea of adding some fresh prawns but when I passed the fishmongers, nice as I knew they’d be, I decided to stick with just the asparagus. Asparagus has such a wonderful taste – a sweet, slightly sulphurous taste. Really, it doesn’t need enhancement; it just needs to sing by itself. I started by preparing the asparagus. I trimmed off the bottoms – just a couple of centimetres. 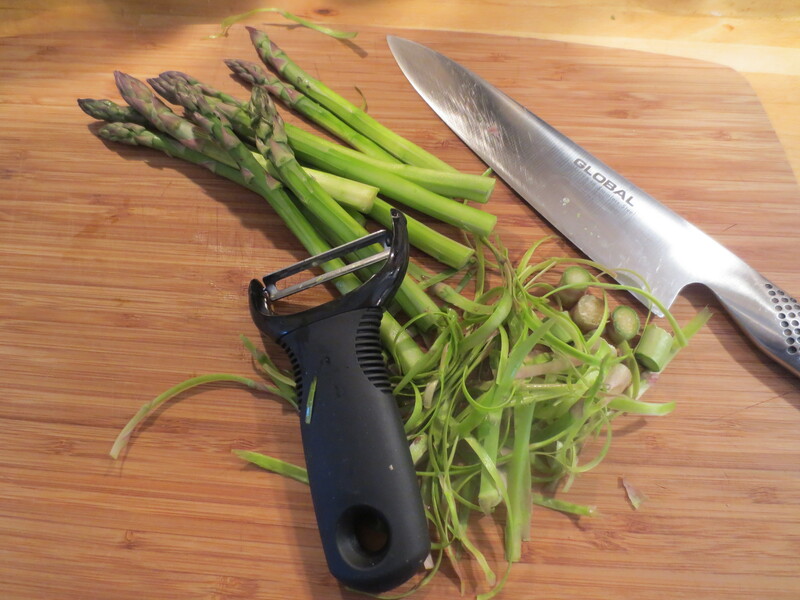 Then I used a very sharp vegetable peeler to take off the outside skin of the asparagus as thinly as possible, from beneath the spears. I then cut off the spears and put them in a steamer. The rest of the stems I cut finely into little circles – about 3-4cm. 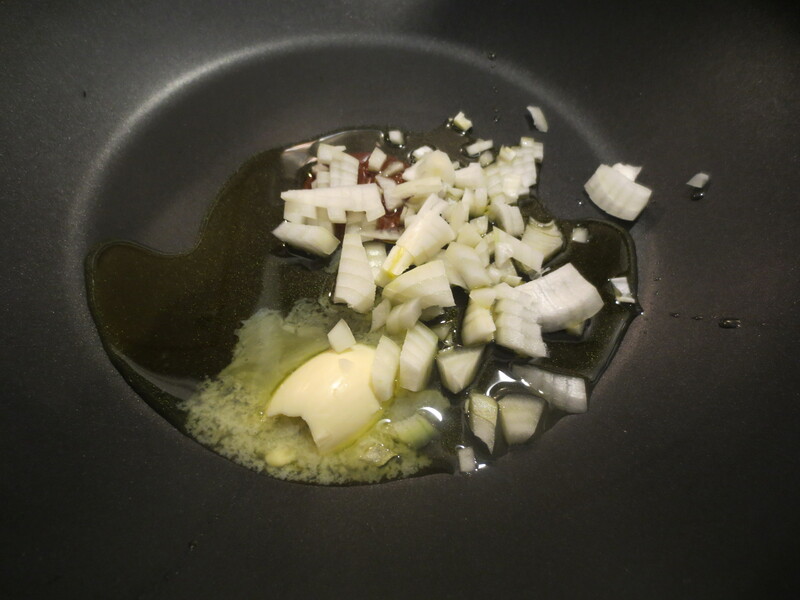 Then I finely chopped half a small onion and put it in a large frying pan with about 1 tablespoon olive oil and a big knob of butter. 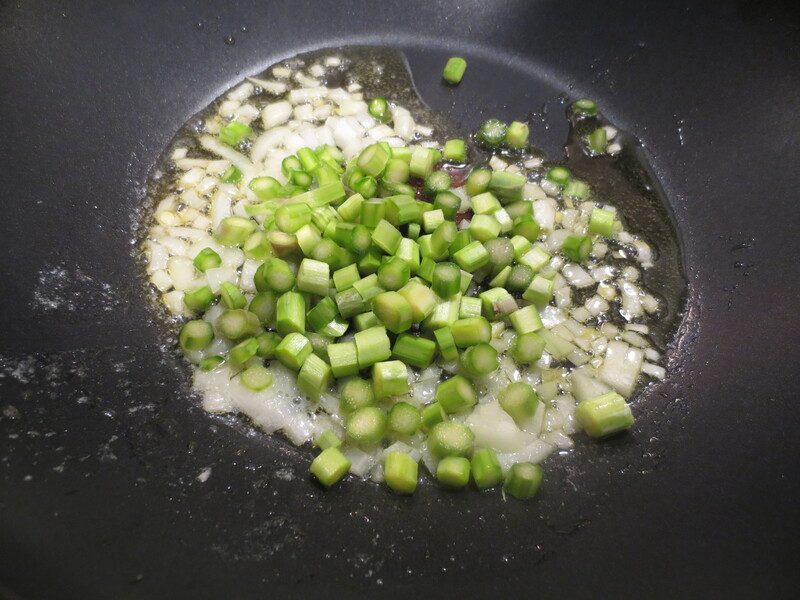 I gently fried the onion till softening and then added the chopped asparagus stems. 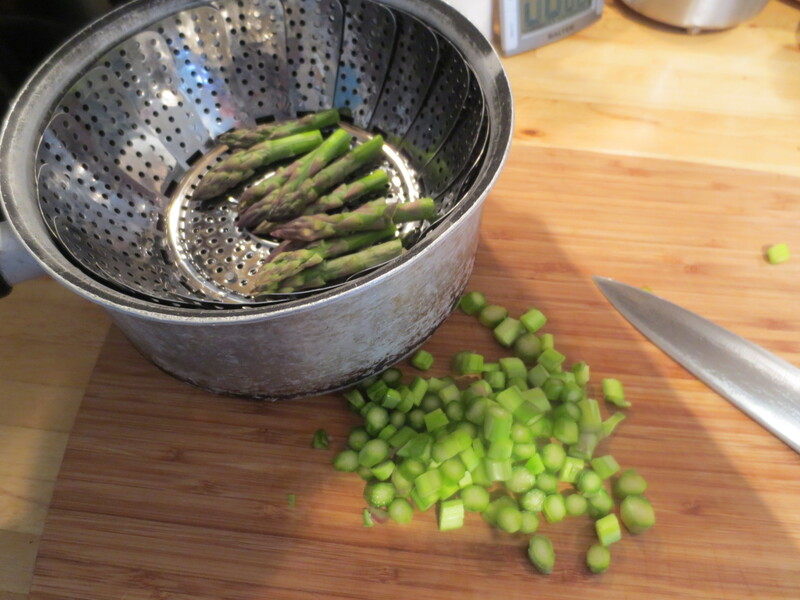 I decided to cook the stems in this way to get maximum asparagus flavour without ruining the tender spears. 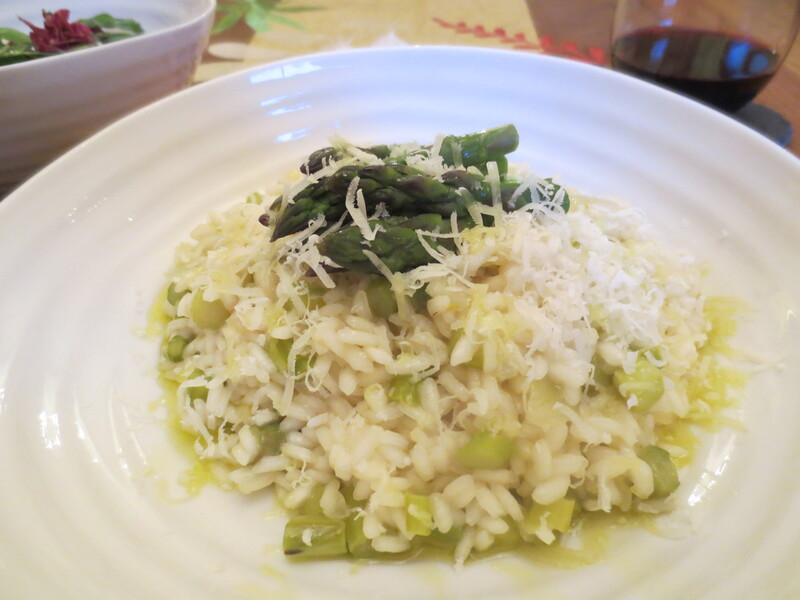 Once the asparagus pieces were starting to soften – just 2-3 minutes – I added half a cup of risotto rice (you must use proper risotto rice – preferably arborio – or the risotto won’t end up nice and creamy). 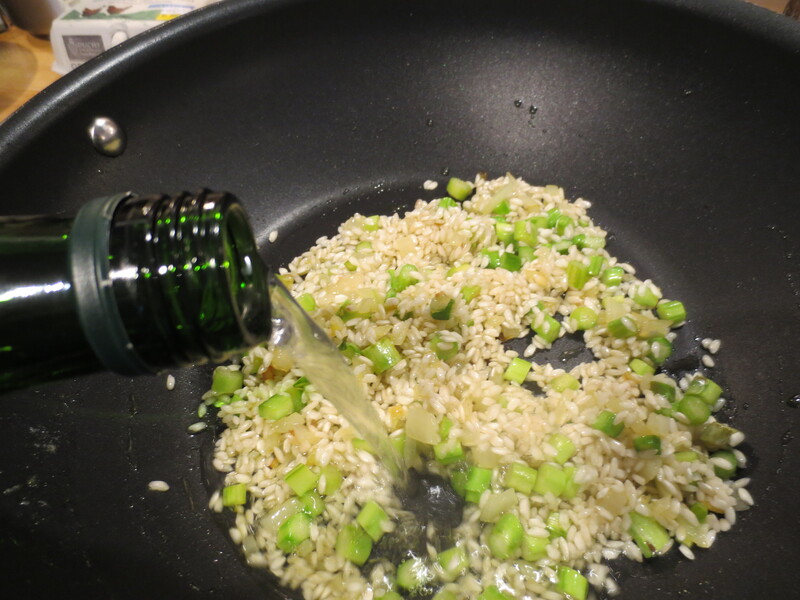 I stirred it all together, combining the rice with the vegetables and coating them in the oil, then I added a good glug of white vermouth (or white wine will do nicely). I let this bubble away for a minute or two, then started adding hot stock (use a light stock only; not too strong) ladleful by ladleful. It’s essential to do this slowly and keep stirring, only adding more stock as the previous amount is absorbed by the rice. The stirring breaks down the starch in the rice to give it that essential risotto creaminess. 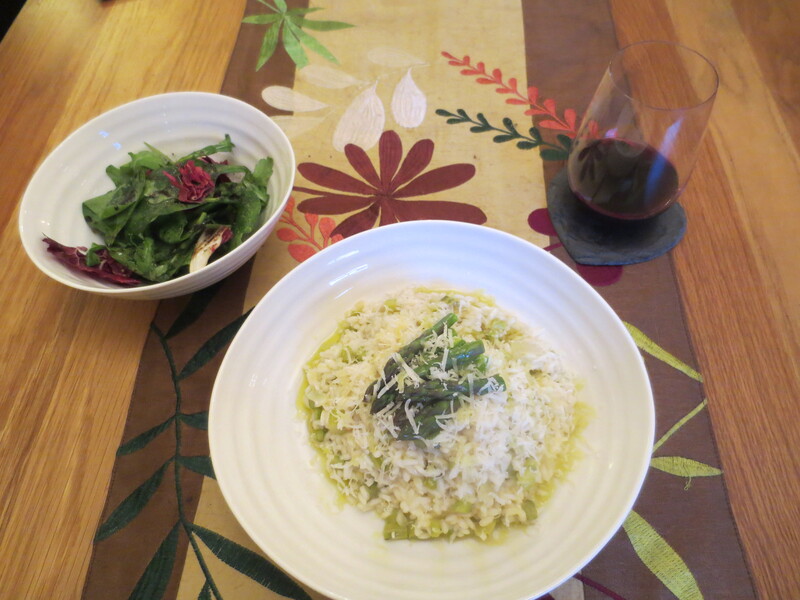 As the risotto was cooking, I turned on the steamer so the asparagus spears cooked, but only for a short time so they were barely tender, al dente, and retaining a bite. Then put them aside. 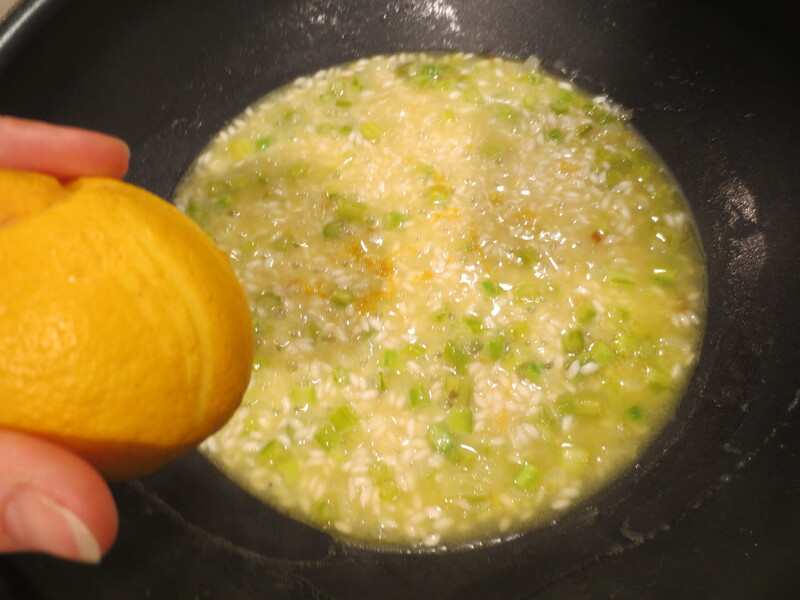 Once the risotto is starting to get that nice creamy appearance and the rice is becoming tender, use a zester or grater to add just a little amount of lemon zest. Lemon is great for bringing out the flavour of asparagus. Check seasoning, and as soon as the rice is just tender – retaining a slight bite – then turn the heat off, put the lid on and leave for a minute to settle. Your risotto should be sloppy and creamy – but not thin and runny! Spoon it into a bowl. Then I laid the steamed asparagus spears on top, grated over a little Parmesan and drizzled over some extra virgin olive oil. I served a green salad on the side. It was a lovely supper. Total respect to the asparagus! That’s why risotto is best served simple, I think, as the rice is a perfect accompaniment for allowing the primary flavours to shine. This sounds respectfully and “exquisitisciously” more-ish! And the lemon … what a great tip, thank you!